News came out during a hotly-contested ALCS Game 3 that during the series' first game, a mysterious man was removed from the media-credentialed area near the Boston dugout. The man, who did not have any media credentials, claimed to be an Astros employee while also having a small camera on him. The whole situation is very sketchy, as the man was also seen frequently texting on his phone prior to getting questioned by security. 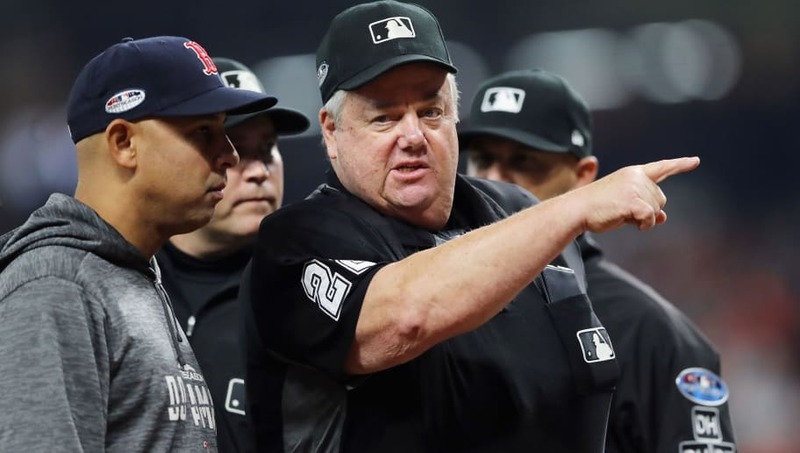 It is unclear if the unknown spectator had any tape of the Boston dugout or what was sent on his phone, but the entire situation is remarkably sketchy. And this doesn't just encompass one game's worth of behavior. What's even crazier is this same man had been accused of pulling the same stunt earlier in the playoffs during the Astros-Indians series. ​​Clearly nothing has been proven yet, but you can bet an investigation is already underway and I'm sure we will get more details very soon. The ​Astros are still battling with the ​Red Sox , so that means all eyes should be on the dugout to see if this mysterious man attempts to kickstart a late game rally.